While digital marketing is largely the main driver of leads today, the benefits of direct mail shouldn’t be overlooked. Believe it or not, direct mail still produces results in 2018. There are several ways to reduce your chances of being among the mail destined for the trashcan without a second look, you just need to be strategic about it. Here are the top producing real estate direct mail strategies that still work. Just as with any type of marketing, you need to know your audience and what appeals to them. You also need to define where your ideal audience is located, their income level and their likelihood of buying or selling. Once you have identified your ideal audience, it’s time to define your objective. Are you looking to get leads? Build brand awareness? The way you target your ideal audience will vary based on your end goal. It’s best to stick to one main objective per piece of mail to avoid having your message lost in the mix. As you know, there are hot times for real estate and then those dreaded slow months. In order to have the most effective direct mail campaign, it’s important to keep this timing in mind. Most homes sell between spring and fall, so around the holidays it’s often better to choose a less-pushy message since you are simply looking to spread some brand awareness before the busy season kicks in. Just as you do with your email marketing campaigns, you need to balance timing and sending frequency. Your goal is to provide information without annoying and burning out the audience. 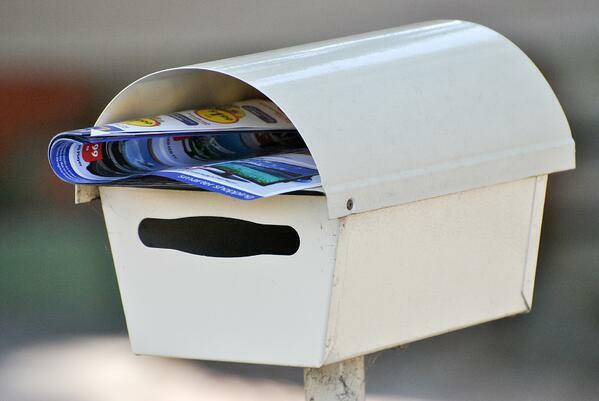 Typically, when it comes to direct mail frequency, once a month is sufficient. Your campaign’s entire success relies on one thing and one thing only; the ability to catch the eye of your audience. Think about your own experience when you get a piece of mail. You first take a look at it to determine whether or not it’s junk. What keeps mail from landing in the junk pile is typically relevance, some eye-catching design element, or a value proposition that appeals to your immediate needs. Something like “we buy houses,” can be enough to grab the eye of a potential lead. Direct mail helps you build familiarity with your audience so that you won’t be totally unknown when you contact your leads. Building this familiarity can often mean the difference between a lead taking your phone call or rushing you off the phone. Of course, the goal of your marketing is to get the lead to contact you, but if they don’t, there’s no rule that says you can’t make that initial phone contact. You never know when you might get yourself in front of a lead at just the right time. All in all, you will need to use a bit or strategy and patience in order to have a successful direct mail campaign. It may require some testing, some time and some added work but increasing your brand awareness steadily throughout the year with direct marketing will eventually yield the results you are looking for. Looking for a way to make your email campaigns more effective too? Check out our free downloadable lead email scripts.